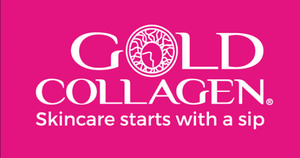 LOS ANGELES, CA, August 28, 2018 — Melody Trice, host of The Melody Trice Show is thrilled to announce Gold Collagen, Krismark Hand Creams, The B+B Company, and Cordelia's House of Treasures as affiliate sponsors for the 5th season of her show to present products to Hollywood celebrities who interview as guests on the show. “I am excited to be heading into my 5th season with the show and to have these companies on-board as product sponsors,” said Melody. The Melody Trice Show is a massively daytime cable talk show reaching 1.9 million viewers, attracting a young multicultural audience between the ages of 18-49 and can be seen on Comcast Cable, AT&T U-verse, Arroyo TV, Spectrum, Frontier, Giggle Fiber, Time Warner Cable, Charter Communications, and Verizon. The show covers topics in Entertainment, Business, Health, Tech, Music, Beauty, Consumer Trends, and Careers with a presence in Los Angeles, Pasadena, Long Beach, Monrovia, Duarte, San Francisco, San Bernardino, and the Berkeley area. In addition, the show covers red carpet events, movie premieres, and award shows in and around Los Angeles. Tony & Josh Breeden, Co-Founders, b+b® Pain Relief with Heart. Tony Breeden – Received his undergraduate degree in Political Science and International Relations at Roanoke College in Virginia. He also has an MBA from the University of Tennessee and a Law degree from the University of Tennessee with a focus on consumer false advertising law. Josh Breeden – Runs a consulting, sales and supply chain support company for current or potential Walmart vendors. He has a business degree from the University of Tennessee-Knoxville.